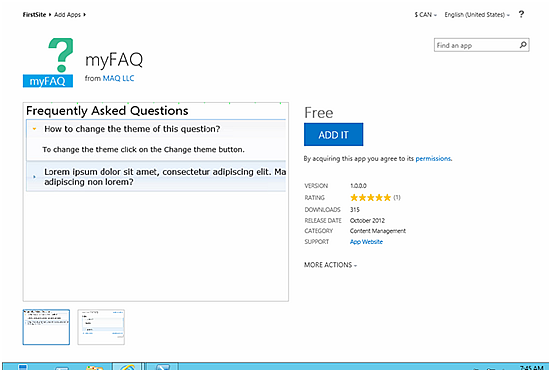 One of the new features of SharePoint 2013 is the SharePoint Store. Similar to the Windows Phone Marketplace and Google Play Store, this new feature gives site owners the ability to discover and download apps for SharePoint from the store and install them on their SharePoint Sites. Furthermore, if you are a developer for your company, you will need to setup your environment to host apps if you want to test them. When you install SharePoint 2013, by default this functionality is not supported and users will get the following error when they try to install an application. Sorry, apps are turned off. If you know who runs the server, tell them to enable apps. This article will provide IT Professionals and Developers a step by step guide with screenshots on how to make your SharePoint 2013 environment capable of using SharePoint Store applications. Have a Farm Administrator account with the DBCreator and SecurityAdmin roles on the SQL Server. Have a Domain Admin account. 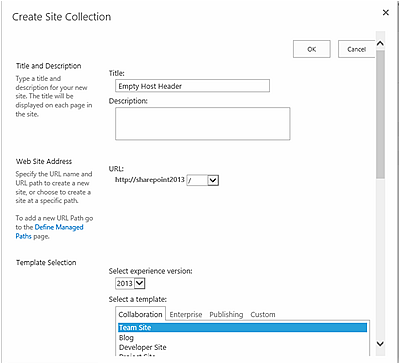 SharePoint 2013 Apps have their own, isolated URLs, which are separate from the URLs of the sites where the app is being deployed to and where the app is being used. In order to provide isolation apps should run in their own domain, instead of in the same domain name as your farm. Using a different domain name for apps helps prevent cross-site scripting between apps and SharePoint sites. 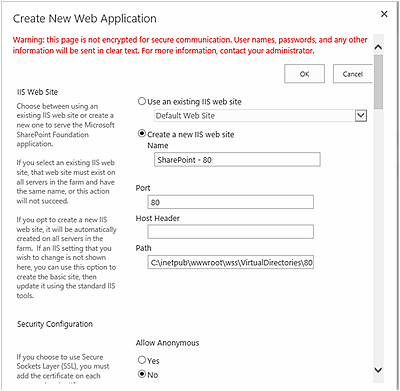 Microsoft recommends that the new domain name should NOT be a subdomain of the domain that hosts the SharePoint Sites. For example, if the SharePoint sites are at matrinescu.com, consider mcatrinescuApps.com instead of app.mcatrinescu.com as the domain name. 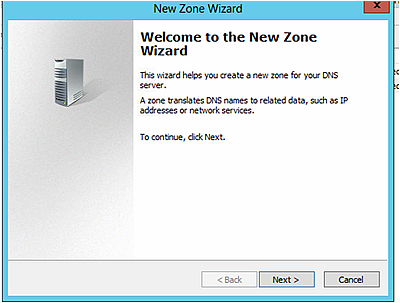 In the New Zone Wizard, click Next. 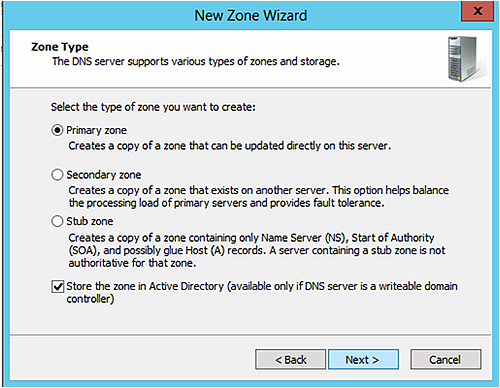 In the Zone Type page, accept the default of Primary zone, and then click Next. 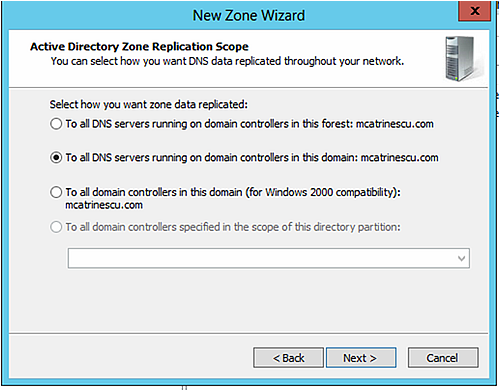 In the Active Directory Zone Replication Scope page, select the appropriate replication method for your environment (the default is to all DNS servers in this domain), and then click Next. 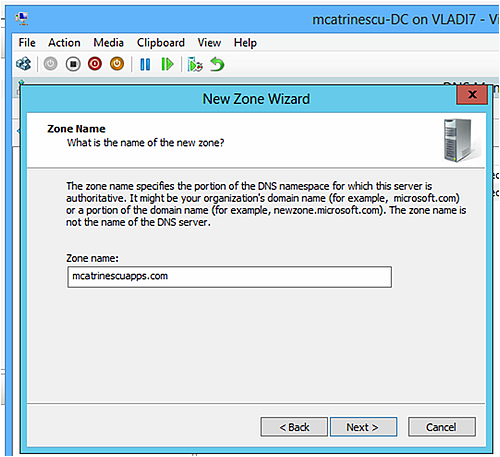 In the Zone Name page, in the Zone name box type the name for your new app domain name (for example, mcatrinescuApps.com), and then click Next. 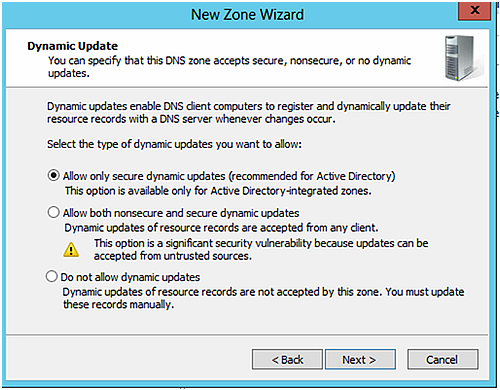 On the Dynamic Update page, select the appropriate type of dynamic updates for your environment (the default is Do not allow dynamic updates), and then click Next. 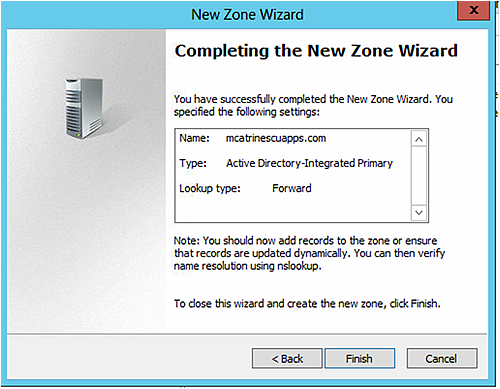 On the Completing the New Zone Wizard page, review the settings, and then click Finish. Don’t Forget: If you plan to use apps on an internet-facing website, you have to buy this domain name! Furthermore, even if you only use it internally, it’s always better to buy it before someone else buys it and registers it in the public DNS. 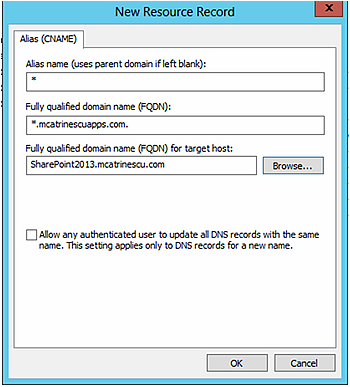 Next to the Fully qualified domain name (FQDN) for target host box, click Browse and navigate to the Forward Lookup Zone for the domain that hosts the SharePoint sites and then navigate to the record that points to the server that hosts the SharePoint site. This is just a little step to make sure everything we did until now is right. At the command prompt, type ping followed by a subdomain of the domain that you created, and then press ENTER. (EX: ping vlad.mcatrinescuapps.com) where vlad is a random word and mcatrinescuapps.com is your newly created domain. 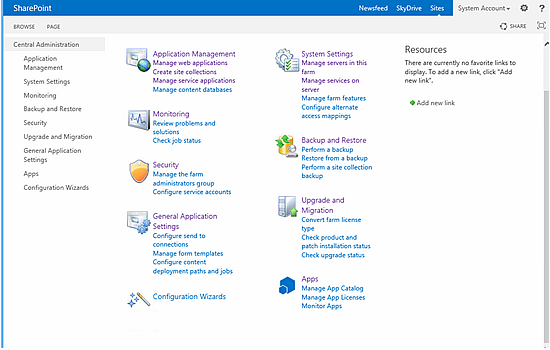 Apps rely on the App Management and Microsoft SharePoint Foundation Subscription Settings service applications. These service applications use the multi-tenancy features to provide app permissions and create the subdomains for apps. Therefore, even if you are not hosting multiple tenants, you must still establish a name for the default tenant for your environment (any SharePoint site that is not associated with a tenant will be in the default tenant). In this step we will start the two required services! On the Services on Server page, next to App Management Service, click Start. 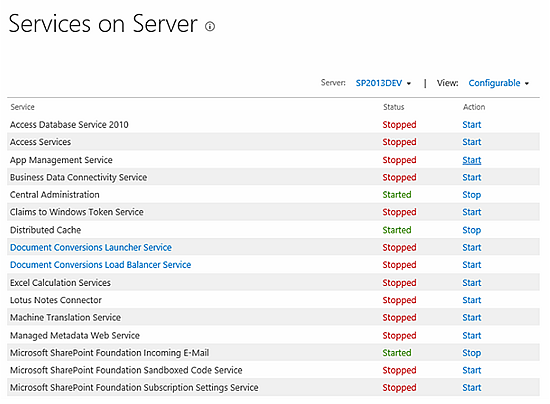 On the Services on Server page, next to Microsoft SharePoint Foundation Subscription Settings Service, click Start. Verify that the App Management and Microsoft SharePoint Foundation Subscription Settings services are running. In this step we will create the two Service Applications we talked about in the previous step. 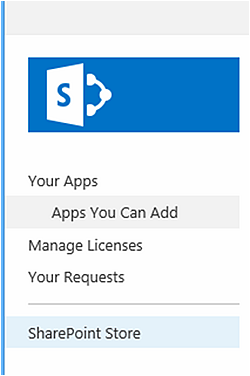 As you know, Microsoft is strongly promoting PowerShell to the SharePoint Administrators, and to make sure you start using it, they made it the only way to configure the Subscription Settings Service Application. Since we will be doing PowerShell for the first one, we will both in PowerShell. 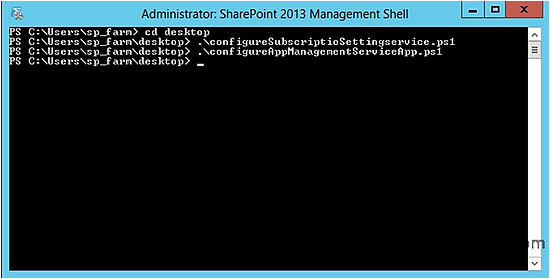 Open SharePoint 2013 Management Shell as an Administrator and run the scripts. Here is how your URL will look like depending on the settings! 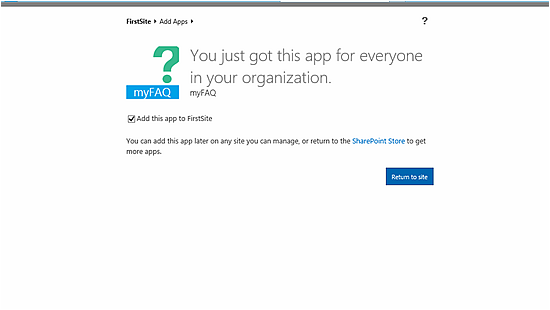 The SharePoint Store contains apps for SharePoint intended for use with sites that require Internet-facing endpoints. By default, these apps are not available (greyed out and cannot be purchased) because they are incompatible with most sites. However, if your farm is configured to allow internet-facing end points, you can turn on the Internet-facing endpoints feature to show these apps in the SharePoint Store. You turn this feature on in Central Administration. 6. Fix the “Out of the Box” errors. Our environment is now fully setup, however there is a little problem. Back in step 1, we created a new domain that will host our apps. When a user is browsing the site www.mcatrinescu.com and clicks an app, he will be forwarded to www.apps-00000(ID).mcatcatrinescuapps.com. 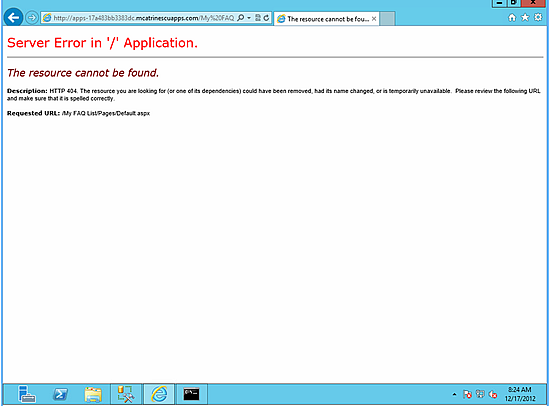 We told our DC to forward those requests to our Front End, however SharePoint and IIS don’t understand it yet! How do we usually fix two URL’s going at the same site? AAM (Alternate access Mapping), but do you imagine doing this for every App? Luckily, there is a simpler way to fix this. We will create an empty-host header Web Application. 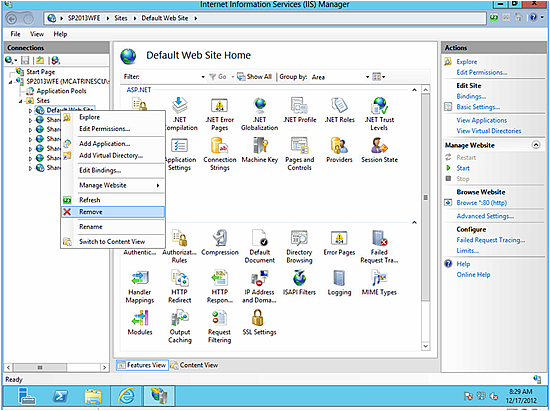 Now, we have to delete the Default Web Site from IIS! 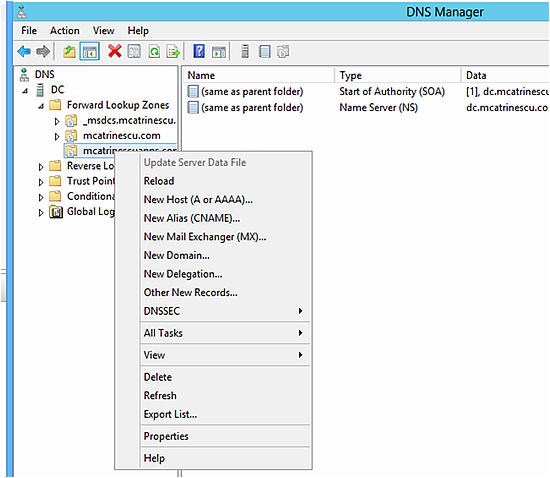 Go into IIS Manager as an administrator, and expand your Sites. Now that everything is set up we can finally test if we can run a simple application on our environment. Select the language at the top right, and choose an application! 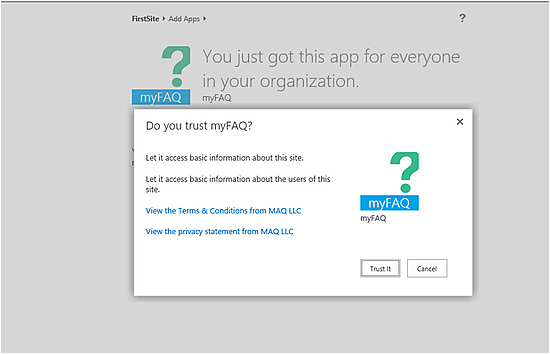 For my test I took the myFAQ application. Click the big “ADD IT” button, and then sign in with your LiveID and password. After than, you will get the message “You Just got this app for everyone in your organization”. Now, leave the checbox “Add this app to [SiteName] Checked, and click the Return to Site button. In the next screen, click the “Trust It” button.